WHERE: Northampton Media screening room, 33 Hawley Street, Northampton. 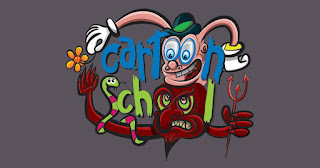 Big-screen animation roars back to Northampton on Friday, June 8 at 8pm when Northampton Community Television proudly presents cartOOn schOOl. The first in this series of educational screenings is Episode 1: Strange Transformations. This will be the first event at the new NCTV space at 33 Hawley Street in downtown, Northampton, MA as seating is limited to the first 45 attendees. It runs concurrently with the June DNA Arts Night Out. Animator and lecturer Luke Jaeger will screen a curated show of classic cartoons as well as contemporary and rare, hard-to-find short films, from two to eight minutes long. The show will feature everything from WWII propaganda to personal films by artists from Russia, Colombia, Canada, the Netherlands, and the US. Jaeger promises “90 minutes of cinematic shenanigans. These films transform the familiar into the uncanny: housepets into monsters, bathtubs into battle zones, and reality itself into mind-bending surrealism.“ There will be weaponized cuckoo clocks, booty-shaking ancient goddesses, a steak the size of Los Angeles, a certain rabbit singing opera, and an opportunity for Q and A. Admission is free; all are welcome. Friday, June 8, 2018, 8 pm, at the Northampton Media screening room, 33 Hawley Street, Northampton.